I'm a firm believer that making small changes can add up to a big difference. Setting a "big hairy goal" is a great idea for getting you excited and moving but it can also be daunting. Try to do too much too soon, and it can even lead to flops and failures, which can be demotivating causing you to abandon your goal entirely. For some people, going all in and making dramatic sweeping changes works wonders. For others, it may not be that simple. They may find that the process is too difficult and the rewards are not great enough, leading to the inability to see it through. In other words, it doesn't have to be an all or nothing approach. You can start small. Make smarter choices, ones that you can stick with and that can then become permanent. Build a strong foundation from which you can grow and really change. For me, dairy is in that category. For the purposes of my own health and wellness goals, many years ago I decided I wanted to give up all dairy - no milk, no cheese, no yogurt, etc. While I have succeeded at giving it up for six weeks or so at a time, I have found it incredibly difficult to give it up entirely and I would inevitably go right back to eating cheese on everything! Rather than completely abandoning my big goal, I decided to make some smaller, more easily attainable changes and those have led me to where I am today. Today I am able to have small amounts of good quality dairy a few times a week with no adverse effects (no cravings, no weight gain, etc.) and still look, feel and perform at my best. The rest of the time I choose non-dairy alternatives like ones made with coconut milk and almondmilk. Silk Almondmilk Yogurt Alternative is one truly easy option for me. I like that I can just "grab and go" to take with me when I'm headed out to get some exercise. It's plant based, made from real foods and it's even Non-GMO Project Verified. Oh, and by the way, it tastes great, too! Even my picky husband loves it. The Vanilla is his favorite, although I prefer the Plain which has 6g of protein, 13g of fat, and 7g of net carbs (6g of which are added sugar). It's sweetened with cane sugar, in case you were wondering. I do hope they'll come out with a sugar-free version sometime soon, but for now I'll enjoy this as a dessert or after a workout. 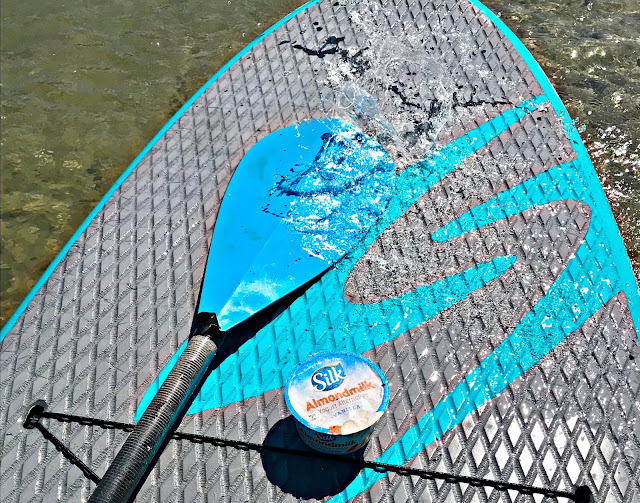 One of the great things about this yogurt alternative, besides being dairy-free and soy-free, is that you can find it at just about any grocery store - making it easily accessible. I've personally found that the easier and more convenient we can make it on ourselves to make healthy choices, the more apt we are to do it. This is one of the reasons weekly meal prepping works so well! Especially, if you're newer to making these kinds of changes to your diet, having food that's easily accessible is paramount to your success. These perfectly-portioned snacks store and travel easily as long as you keep them cold. You could even store a few in the break room refrigerator at work so you're not tempted to visit the vending machine. What do you think? Would you try yogurt made from almondmilk? 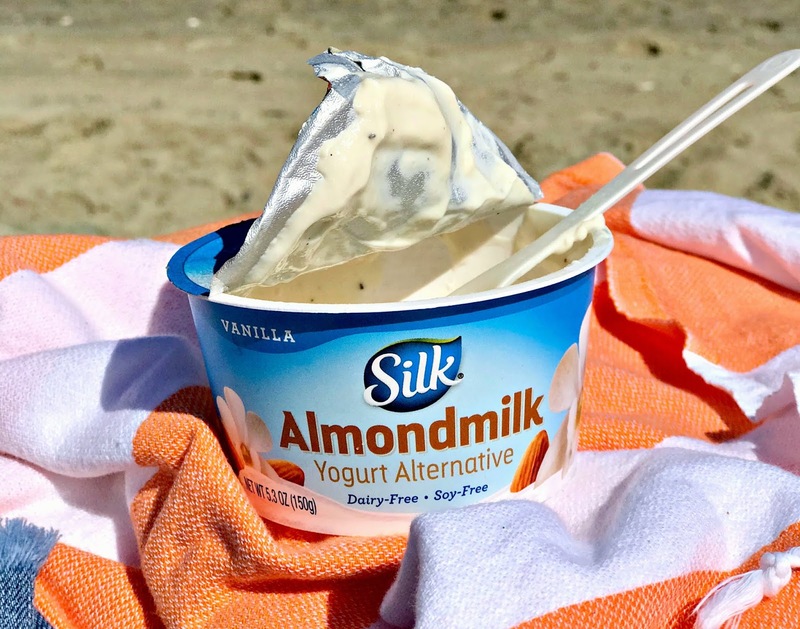 Click here to download a printable coupon for Silk Almondmilk Yogurt Alternative. This blog post was sponsored by Silk but the opinions are all my own.